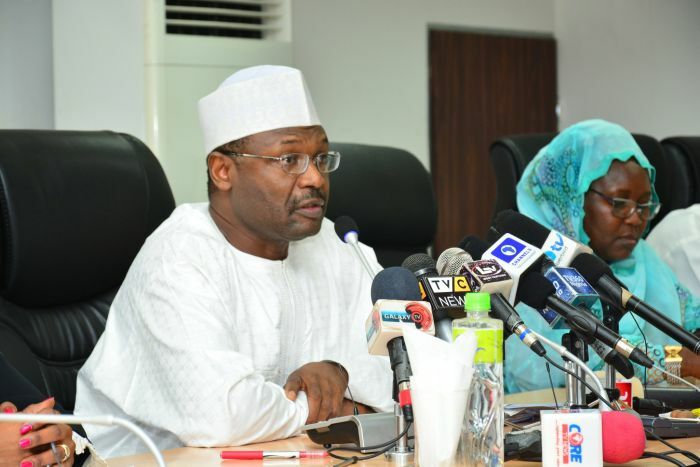 The Independent National Electoral Commission (INEC) said it won’t conduct a rerun election in Bauchi and Rivers states, insisting that the process earlier started will continue. INEC had announced it will conduct a rerun election in Adamawa, Bauchi, Benue, Kano, Plateau and Sokoto States. INEC has 21 days to complete elections in areas or states where the processes have been declared inconclusive. But in a statement issued last night by INEC’s National Commissioner and Chairman, Information and Voter Education Committee, Barr Festus Okoye, the commission said a rerun won’t be conducted in Bauchi adding that the process earlier started would be completed. The commission also said that it will continue with the process it started in Rivers state adding that the process which was disrupted by armed soldiers with declaration made in some state constituencies won’t be reversed. “The Collation process for Tafawa Balewa Local Government will resume on Tuesday, 19th March 2019. The Commission directed that the error in the total number of cancelled votes in four polling units in Ningi Local Government Area should be corrected from 25,330 to 2,533. The Commission appeals to all stakeholders for continuous support and understanding,” the statement said. On Rivers state, the INEC statement said: “On the 10th of March 2019, the Commission suspended all electoral processes in Rivers State having determined that there was widespread disruption of collation of results of the elections conducted on the 9th day of March 2019.